The largest auto show in South Taiwan—Automobile Show in Southern Taiwan University of Science and Technology—was exhibited at Southern Taiwan University of Science and Technology on December 1st and 2nd. To celebrate its 30th anniversary, this year the school worked with the "Classic 90 Old Car Memories Society," to create a different style for the show. The special cars on display include the Audi RS2, the Alfa Romeo 155, the BMW M3, and the Benz 190E of the German Touring Car Masters (DTM), as well as several classic cars that appeared in the initial D-track racing. In addition to classic models, this year Volkswagens and Iveco launched a camper van, which is very suitable for family to travel together. In addition, the auto show held a contest on the two days to give away a great variety of prizes. 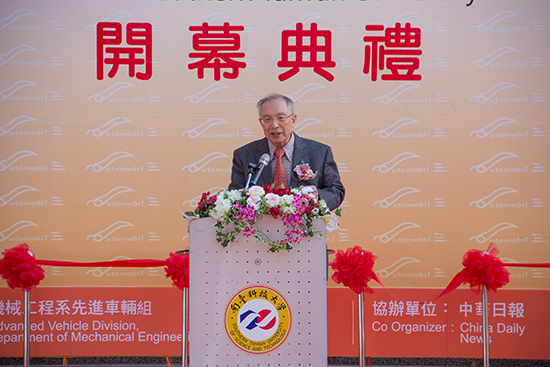 The event was hosted by Southern Taiwan University of Science and Technology. The co-organizers were China Daily, Taiwan Electric Vehicle Development Association, and Chinese Car Audio Development Association. The exhibition area was divided into eight major exhibition areas, namely "Special Car Area", "Imported Car Area", "Domestic Car Area", "Motor Vehicle Area", "Motorcycle Area", "Department Audio Zone" and "Commercial Vehicle Zone." The exhibits include the latest cars, locomotives, electric motors, instrumentation and equipment, car audio and boutiques, and almost all related industries are gathered here. Imported car dealers included Audi, BMW, Benz, ISUZU, Iveco, Jaguar, Kia, Mazda, Peugeot, Subaru, Skoda, VW (Foss Commercial), Ssangyong Motor, etc. Domestic car dealers included Ford, Honda, Hyundai, Luxgen, Mitsubishi, Nissan, Suzuki, etc. The manufacturers participating in the locomotive exhibition include: Hongjiateng, Sanyang, Gwangyang, Yamaha, Mot Power, etc. They had a great show of the latest locomotives. There were also heavy locomotives, including Aprilia, Adiva, Benelli, Can-am, Honda, Kawasaki, KYMCO Well-known manufacturers such as KTM, MV Agusta, Suzuki, Triumph, Vespa, Yamaha, etc. In recent years, the issue of energy conservation and carbon reduction has been paid special attention. In response to environmental protection, GOGORO locomotive was also invited. In response to the idea that most consumers will change their cars at the end of the year, various manufacturers have launched diversified offers to allow people who buy cars or other products on the spot to enjoy more benefits. The public does not need to pay more attention to the comparison of various manufacturers. The university visited the auto show and saw all the steam locomotives, electric motors and related products at one time. A variety of food stalls are also arranged at the exhibition venue to allow the public to satisfy their appetites while visiting. Since 1989, the year when Dr. Ching-Chiong Chang—currently Chairman of the Board of Directors—became the president, the school has been running the show for 29 years and it has attracted nearly 100,000 people to visit the school every year. 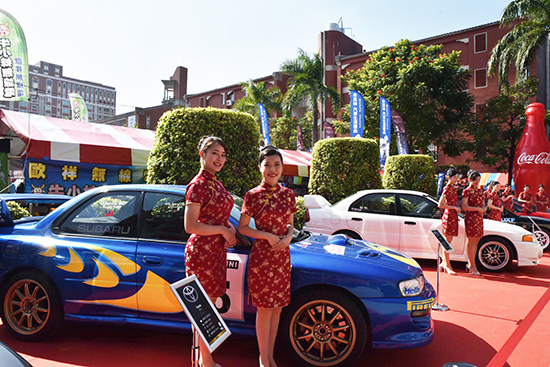 The auto show was organized by more than 200 teachers and students of the Mechanical Engineering Group of Southern Taiwan University of Science and Technology. A a result of their long-term management, it has established a professional image and reputation. 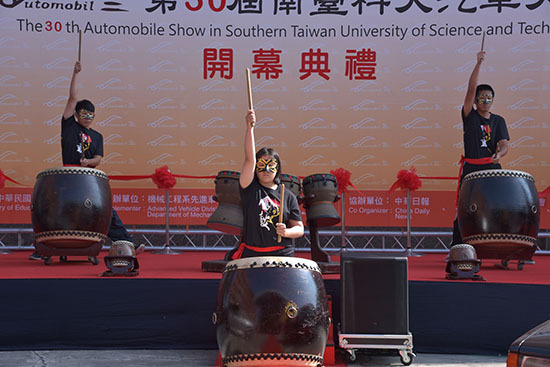 Not only has it been highly recognized by exhibitors and by the public, the Automobile Show in South Taiwan University of Science and Technology has entered its 30th year. The number of manufacturers was close to 100. 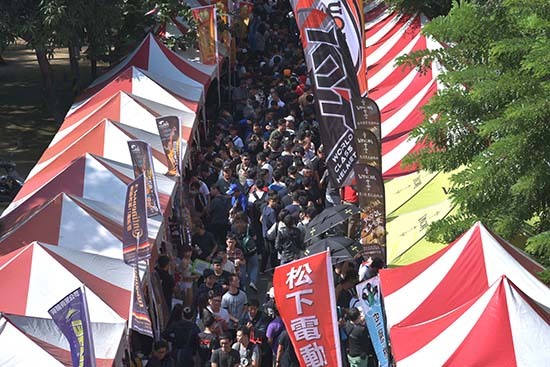 The number of booths was nearly 500. The content was even more so, making the visitors feel worthwhile. 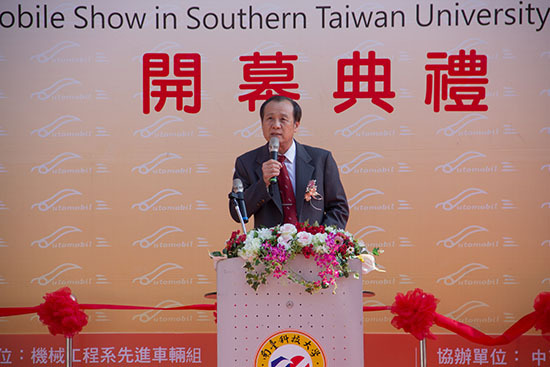 President Deng-Maw of Southern Taiwan University of Science and Technology said that the development of the auto show has been quite great. In the past, it was necessary to ask the manufacturers to set up exhibitions. Yet, over the recent few years, it has become a big affirmation for the manufacturers to compete for a show booth in the show. This year the show was of even more grandeur, and it also showed the executive capability of the teachers and students of the Department of Mechanical Engineering, Southern Taiwan University of Science and Technology.